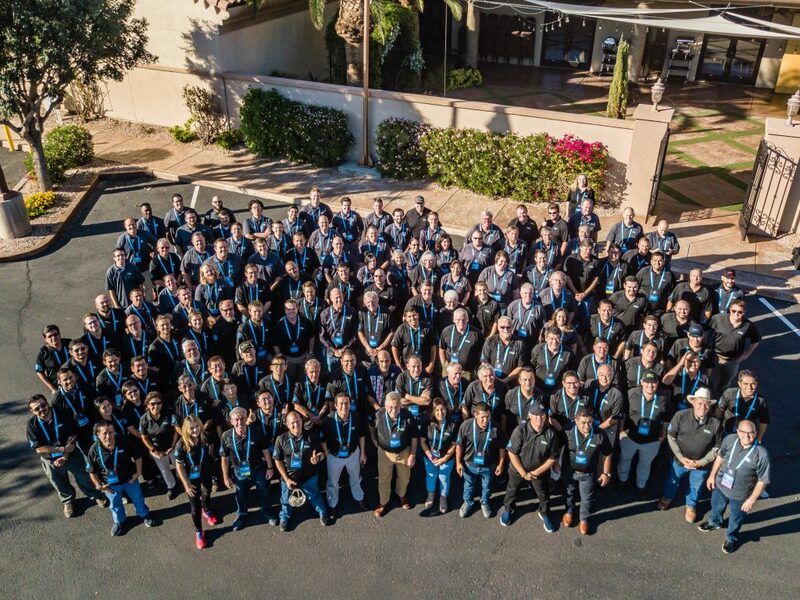 On Global Fertilizer Day, agricultural professionals gather to celebrate the key role that fertilizer plays in meeting the growing global demand for nutritious and sustainably grown food. Our growing global population depends on responsible agricultural practices to provide a steady supply of food. Modern fertilizer techniques are an essential part of this sustainable future, and The Fertilizer Institute (TFI) is invested in promoting best practices to help farmers improve their productivity and food nutrition. Through innovative, science-based programs, like 4R Nutrient Stewardship, farmers can use fertilizer best management practices that offer enhanced environmental protection, increased production, increased farmer profitability, and improved sustainability. The concept is to use the right fertilizer source, at the right rate, at the right time, and in the right place. When the 4Rs are put into practice, growers are able to achieve higher yields, lower input costs, and less nutrient losses to the environment. Get involved with this year’s Global Fertilizer Day by visiting tfi.org/globalfertilizerday! With Huma Gro® products you also get a 5th R, the Right Carbon Carrier! Our Micro Carbon Technology® provides a carbon-based nutrient carrier that makes our liquid fertilizers more efficient and effective than conventional products. Ask us how! Humic Acids, Fulvic Acids, and Beyond. This white paper is based on an article by Huma Gro® staff originally published in the January 2017 issue of AgroPages Magazine. Humic substances play an important role in soil fertility and crop yield. 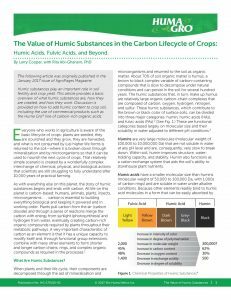 This article provides a basic overview of what humic substances are, how they are created, and how they work. 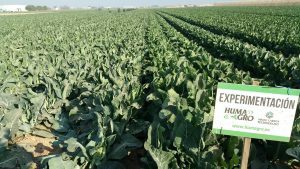 Discussion is provided on how to add humic content to crop soil, including the use of commercial products such as the Huma Gro® line of carbon-rich organic acids. For more information on Huma Gro® Carbon-Rich Organic Acids, go to https://humagro.com/huma-gro-products/organic-acids/. To view an online version of the complete Huma Gro® Product Catalog, go to http://bit.ly/HumaGroCatalog2017. This White Paper is based on an article by Huma Gro® staff that was originally published in the March 2015 and February 2016 issues of CropLife Magazine. Micronutrients play a critical role in plant vigor, yield, and harvest quality. Yet, they are often overlooked when growers develop their nutrient programs. 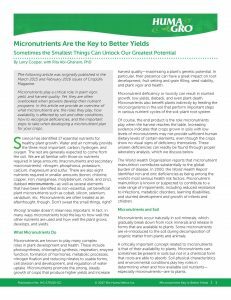 In this article we provide an overview of what micronutrients are, the roles they play, how availability is affected by soil and other conditions, how to recognize deficiencies, and the important steps to take when developing a micronutrient plan for your crops. To view the complete Huma Gro® Product Catalog, go to http://bit.ly/HumaGroCatalog2017. The Huma Gro® family of products comes from Bio Huma Netics, Inc., a company that values mission over margin. Our mission is to “provide technologically advanced and ecologically sustainable quality products and services that replenish the earth by restoring water quality, reviving soil fertility, renewing food and fiber value, and refocusing engineered technologies—while minimizing human environmental impact and thereby enhancing the quality of life world-wide.” This video represents our company vision and commitment to help growers/operators and communities—both locally and all over the world—through our sustainable, efficient products and programs.